The annual Mission Road Christmas Vespers Service will be held on December 16, 2018 at 6 PM. Join us for an evening of music and scripture. A reception will follow the evening’s program. Volunteers are needed to bring a dozen cookies for the reception following the Vespers Service on December 16. If you can help, please contact Cheryl Kennedy. Kids come join the fun! We still need singers for the Vespers service on Sunday evening, December 16! We practice Sunday mornings from 9:45 to 10:15 a.m. Just three more practices left and two rehearsals after church! And we are keeping it simple, so come and join us! We need YOUR HELP TO DONATE GIFTS for over 200 adults, teens, and children who will attend our Christmas Day meal on Friday, December 21. For donations from Mission Road, we’ll need the gifts brought to church on Sunday, December 16, 2018. This is a bit earlier than usual, so please note the date! Tags for the gifts will be available Sunday morning, December 9, but you can get a head start on shopping based on the gifts needed and listed below. In order to assist us with giving everyone an appropriate and equally valued gift, please place your new item(s) valued at $10-$15 in a gift bag with a tag stating “adult male” or “adult female”. May include an assortment of items such as fleece blankets, stocking caps, socks, gloves, underwear (size medium), candy, snack food, pens, lighters, flashlights and other useful items to fill wrapped shoe boxes or gift bags. In order to assist us with giving each child an appropriate and equally valued gift, please place your new item(s) valued at $10-$15 in a gift bag with a tag stating whether the gift is for a “boy” or “girl” and “age range.” For example, “Boy, Age 10-12”. May include toys, books, and games either gender or non-gender specific for children 0-12. Please don’t forget teens as you shop. Ideas for teens include personal care items (colognes, body sprays) gloves, hats, scarves, purses, wallets, backpacks, and books. Thank you again for your generosity! Mission Road makes a huge difference with our donations to the Center of Hope! Janice would like to thank everyone who helped with her “New Way to Give” Fundraiser for the Central Avenue Center of Hope. A total of $130 was raised! Jane Farmer, a former member of the Mission Road Congregation, passed away recently. A memorial service will be held at 10:30 AM on Saturday, December 8, 2018 at the Olathe Community of Christ congregation (15520 South Ridgeview Road). The Christmas Cantata (The Winter Rose) is scheduled for 7 PM on Saturday, December 15, 2018 at the Highlands (7615 N. Platte Purchase Dr.
Kansas City, MO). All are invited to attend. With Daylight Savings time going away and the fall colors are showing their beauty it’s time to think about Ole Man Winter coming soon. With the arrival of winter, it means colder weather and perhaps some snow. It’s also time to remember to clean out the closet of the gently used coat that you don’t plan to wear anymore and help someone else keep warm this winter. If that’s not the case with you perhaps you can afford to spend a few dollars on a new coat for someone else. Central Avenue Center of Hope is starting the annual winter coat drive. Please remember those that may need a new coat this winter. Please hang up your coat gift on the coat rack by the office door. Look for the sign. Remember to also add to the collection of gloves and mittens being collected for Central Avenue Center of Hope. Tis the Season. Next week the discussion will focus on Chapter 24, "Augustine of Hippo." Dennis Wood will lead the class discussion. For the past two years, the Mission Road family has shared generously with HMA in our effort to provide health care to residents of remote villages in Honduras. These are people who would not receive any professional health care if not for the visits provided by our dedicated nurse, Saira Giron and the Health Teams of HMA. 85% of the donations to this program go for providing nurse’s salary, advanced training, medications and clinic supplies and transportation costs to get to the villages. The remaining 15% covers the costs of postage, wire transfers, and a small amount for preparing and printing the pledge brochures. All health care teams provide 100% of their own costs for travel, room and board and insurance. All the Board members for HMA are unpaid volunteers. If you are willing and able to make a pledge to help us continue to provide for this program in 2019, please complete a pledge form (found in Sunday’s bulletin) and return to Paul Bennetts. Or provide Paul with your name, address, and pledge amount for 2019. The second book for the Book Club is “Beyond Resistance: The Institutional Church Meets the Postmodern World” by John Dorhauer, who in 2016 was the newly-elected General Minister and President of the United Church of Christ. Even if this book takes a few chapters for you to get excited about it, persevering will be worth your efforts! This book is a useful tool and resource for those who desire to share and serve in this "postmodern world." This month we will finish the last few chapters of the previous book so we can begin this new book in the new year. Find the book club discussions on the Midlands Mission Center Facebook page. Locate the “search this group” box on the left of the page and type “book club” to find the posts. I’m excited to join you on this adventure! Thanks for joining me! Introduction to Priesthood Ministry (MP300) – Required for new ordinands and those exploring priesthood leadership. Class dates: Jan. 12 – March 8 ($25 – limit 30). Job descriptions and summaries can be found at cwilson. Work up to 32 hours a month at Chihowa. Responsibilities include basic plumbing, electrical, building repairs, and equipment maintenance. If interested please contact Chihowa Board President Rollie Marolf at 785.207.1359 or rollieandbeth. The All Good Books group will discuss "With Love, Wherever You Are" by Dandi Daley Mackall at our next meeting on Thursday, January 17, 2019 at 7 PM. No meeting is planned for December 2018. Discussion questions for the January novel will be posted in December. Please update your listing in the Congregational Directory that is on the table in the narthex. If you’ve given Clint updates and they are not reflected in the printed draft, don’t worry. The changes are added after every printing! If you want your picture updated, please see Clint at church so he can take a new photo of you. If you have any other updates write them down on the copy on the table in the narthex. Thanks! If you know someone in the congregation who does not have email and does not use Facebook, please let Jonathan Bacon know. We’re trying to be sure everyone in the congregation has access to periodic news updates and information on congregational activities. Wednesday, December 5, 2018, 6:30-7:30 PM – Saints’ Chorale Rehearsal in the Sanctuary. Wednesday, December 5, 2018, 7:35 PM – Prayer Circle in the Church Library. Sunday, December 9, 2018, 8:45 AM – Breakfast (provided by Michel Haase), join us for conversation and fellowship. Sunday, December 9, 2018, 10:30 AM – Brian Libeer will speak on the theme "Prepare! (Peace)" with Jane Landrum serving as presider and Nadine Bennetts serving as worship planner. The Saints’ Chorale will provide the ministry of music and Robert Sindt will provide the PowerPoint. Monday, December 10, 2018, 7:00-8:30 PM – Mission Bells Rehearsal in Church Sanctuary. 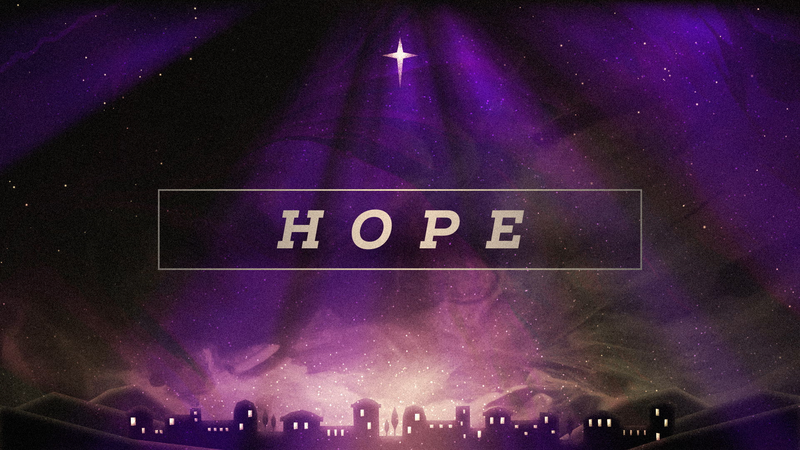 Sunday, December 16, 2018, 10:30 AM – Christmas Gifts for the Center of Hope will be received during the morning worship. Sunday, December 16, 2018, 6:00 PM – Vespers Service. Each audio recording begins with the date of the service (20180805 represents August 5, 2018). The date is followed by a dash and the first initial and last name of the speaker.